BEFORE and AFTER upper abdomen AVELAR lift. Come see if this option for permanently getting rid of lax, redundant skin is an option for you! 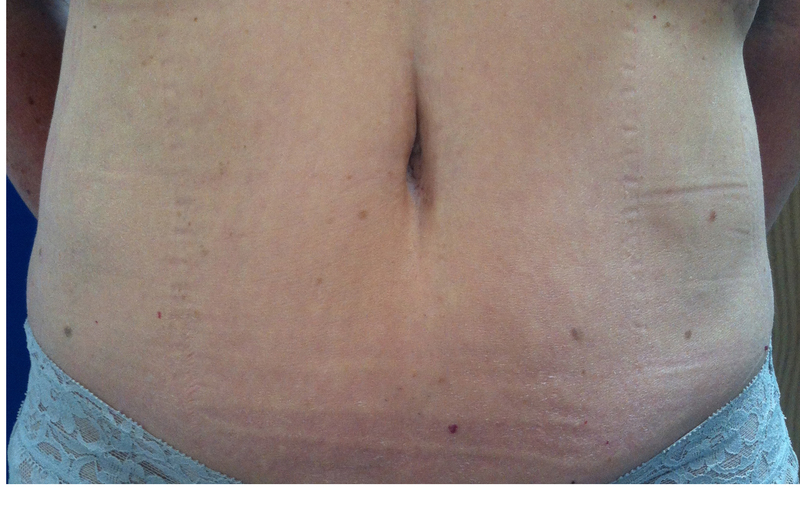 Loose skin and soft tissue can be removed from upper or lower abdomen, upper thighs or arms. You are awake and comfortable for the procedure, minimal discomfort or downtime. Come see me for a complimentary consultation at CB Skin Secrets, Southwest Iowa’s most complete skin rejuvenation clinic! To schedule, go to http://www.cbskinsecrets.com, leave a message at cbskinsecrets@gmail.com or 402-915-2756. This entry was posted on May 16, 2014, in Uncategorized. Bookmark the permalink.